This will REALLY make liberal heads explode! And who came in first amongst television news providers? Fox is considered the number one news source by eight percent of respondents. CNN was second at seven percent. Meanwhile, look at ABC, MNSBC, NBC, and PBS with only one percent, and CBS below that. As far as other media, eighteen percent of respondents said "Internet/Computer/Online (non-specific)." Only six percent said newspapers with the New York Times getting only one percent. 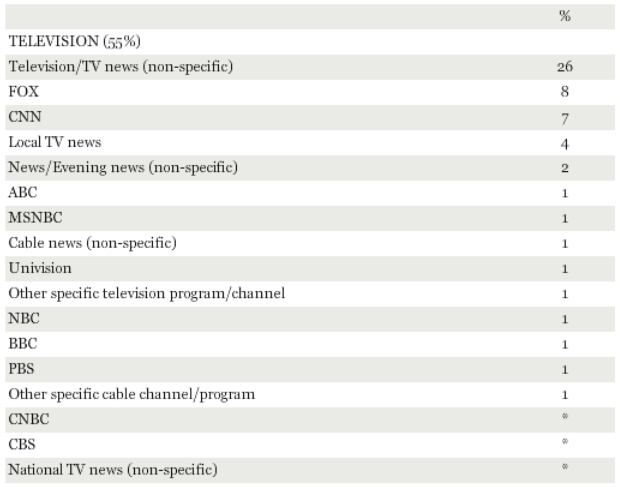 Yes, eight times as many respondents declared Fox News as their main source of information as compared to the Times. This is true of NPR which also garnered only one percent. Liberal heads are going to spin!